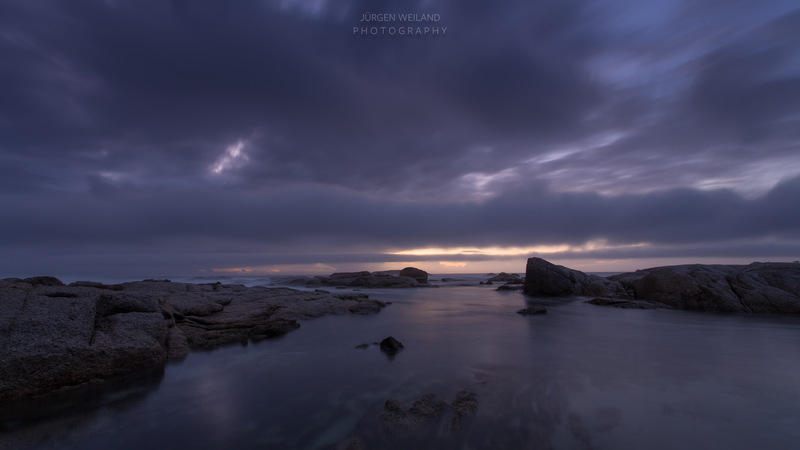 Camps Bay is embedded between the „Twelve Apostles“ on the eastern site and the Atlantic Ocean in the west. 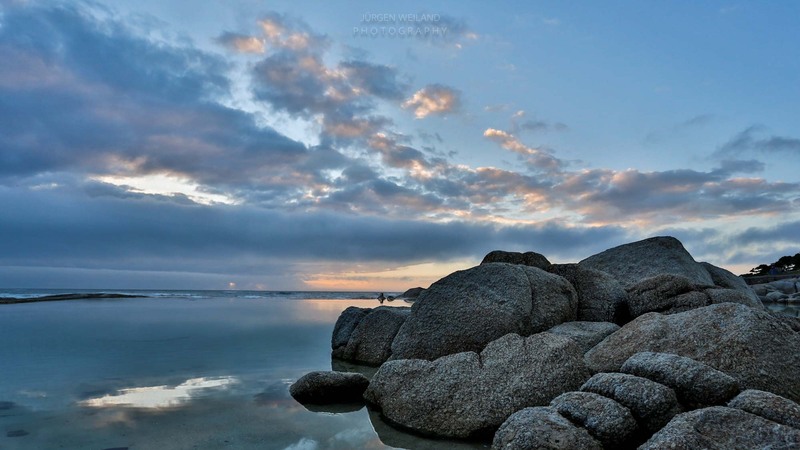 Camps Bay’s sandy beaches are sheltering amongst the impressive boulders. 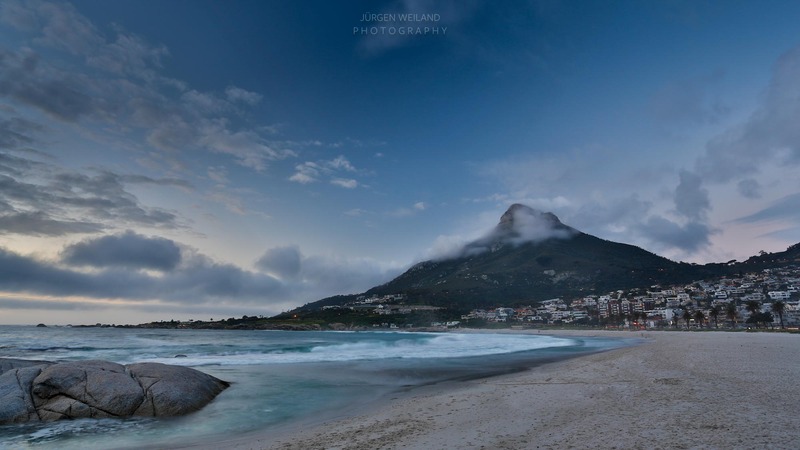 A boulder at Camps Bay beach with „Lion’s Head“ in the background. Depending on the light, some of the boulders remind me of wales who came here for resting.